Hypothyroidism or an underactive thyroid simply means the thyroid gland has an inadequate production of thyroid hormones. The thyroid gland produces thyroid hormones used for metabolism in the body. These hormones are also responsible of some essential functions in the body such as physical growth, heart rate, mental development and digestion. Hypothyroidism is more common to women than in men. Some people may not even be aware and can’t even feel any changes in the body. Symptoms will be more severe the longer and the lower the thyroid hormones will be. Subclinical hyperthyroidism may cause mild symptoms or even none at all. Until now, no one can tell exactly the symptoms one will undergo when a person develops hypothyroidism. Most people are already very ill when they learn their diagnosis. As for some, even if their blood tests show that they are suffering from hypothyroidism, they only suffer from a few symptoms or even none at all. The symptoms of a person suffering from hypothyroidism vary. The only way to determine if you have hypothyroidism is through blood tests. A person who has hypothyroidism may suffer from depression, weight gain, decreased heart rate, constipation, dry skin, etc. A person who is suffering from hypothyroidism is called a hypothyroid. Most people refer to hypothyroidism as the “silent disease” since one can go on living life without even knowing they are suffering from hypothyroidism. Early symptoms would be from mild to nothing at all. Symptoms become more noticeable and severe once hypothyroidism is left untreated. This may eventually lead to confusion and mental disorders, breathing difficulties, heart problems, fluctuation of the body temperature and even death. Below is a checklist of what a person which has hypothyroidism normally feels. These are possible signs and symptoms of hypothyroidism. If one is able to feel the above-mentioned symptoms, it is best to go see a doctor to be treated. Again, if hypothyroidism is left untreated, the symptoms become more severe. Go see a doctor and have yourself checked. After all, prevention is still better than cure. Hypothyroidism if left untreated and diagnosed may also result to myxedema. Myxedema is a disease caused by the decrease activity of the thyroid gland. How Do Doctors Test For Hyperthyroidism? How is Thyroid Disease Treated? Radioactive iodine is used to shrink a thyroid gland that has become enlarged or is producing too much hormone. It may be used on patients with hyperthyroidism, a goiter, or some cases of cancer. Surgery is normally used to remove a cancer and may also be used to remove a large goiter. Thyroid hormone pills are a common treatment for hypothyroidism, for patients with a goiter, and for patients who have had thyroid surgery. The pills provide the body with the right amount of thyroid hormone. Anithyroid drugs and beta-blocking drugs are used to treat hyperthyroid patients. Hypothyroidism means the thyroid gland no longer produces or fails to produce the right amount of thyroid hormones. The thyroid gland is responsible for secreting thyroid hormones. These hormones are used to take part in the metabolism and other body functions. When a woman suffers from hypothyroidism, she is expected to feel symptoms such as depression or suicidal thoughts, fatigue and decrease heart rate, also known as bradycardia. Other symptoms of an underactive thyroid would include shorter than the usual number of days of menstrual flow. At times, menstrual flow even becomes lighter or infrequent. This may even result to having difficulties in getting pregnant, since hypothyroidism also causes infertility. A woman may also have diarrhea, dry skin, hair loss, high levels of cholesterol, and muscle and joint pains due to hypothyroidism. Hypothyroidism develops for over a long period of time. It’s normally from several months to even several years. Some of the common symptoms of hypothyroidism in men include, joint and muscle pains, excessive weight increase, constipation, decreased heart rate, thinning of hair and excessive hair loss, cold intolerance, fatigue and muscle hypotonia, a medical condition in which the muscle tone becomes degraded. The most common symptom of hypothyroidism in men is goiter, inflammation near the neck region. There are four parathyroid glands that are normally having the size of a single rice grain. In some normal cases, they can be as big as the size of a pea. Also called underactive thyroid, hypothyroidism is a disorder that is characterized by abnormal level of thyroid hormones in the body, which is too low. The thyroid is a butterfly (pear)-shaped gland, it consists of 2 symmetrical lobes joined by a central isthmus that normally covers the 2nd & 3rd tracheal rings. Congenital hypothyroidism is a thyroid gland disorder that may lead to deafness or mental retardation if left undetected. Hypothyroidism can cause depression. Most people don?t realize that this feeling is depression caused by the thyroid gland not functioning as it should. Papillary thyroid cancer is one of the thyroid cancer types. This type of thyroid cancer arises from the follicles in the thyroid gland. These thyroid hormones are responsible in regulating the body?s metabolism, which is how much food will be broken down into useful energy for consumption. When the thyroid gland produces too much thyroid hormone, one may suffer from hyperthyroidism. 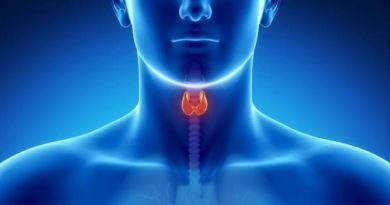 The thyroid stimulating hormone is produced by the pituitary gland. The thyroid stimulating hormone promotes the growth of the thyroid gland. Thyroid hormones are chemical substances produced by the thyroid gland. The thyroid gland is located in the front of the neck. 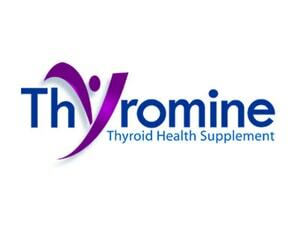 Natural thyroid supplements are helpful as a remedy to thyroid disorders. Its natural ingredients assure one of its safeties in taking it. The thyroid gland is an endocrine gland that is the primary responsible in regulating the body?s metabolism. Thyroid surgery is used to treat people with thyroid problems such as thyroid cancer, thyroid nodules and hyperthyroidism. Thyroid tests or thyroid function tests are done to check the thyroid function in one?s body. A doctor will be able to determine and diagnose the thyroid disorder. Treatment for thyroid disorders should be done to prevent unwanted results caused by the severity of the condition. Consult a physician for more of these treatments. Thyroidectomy is a surgical process wherein the whole or a part of the thyroid gland is removed. This surgical process is used to treat thyroid disorders. Having an underactive thyroid is a minor problem but it seeks proper attention to avoid further health problems. Consult a physician about any thyroid problem. Low thyroid, also known as hypothyroidism, is a condition where the thyroid gland is under active. Following a healthy meal plan, exercise and proper medication goes hand in hand to treat hypothyroidism. Consult a physician for a more individualized plan. Each thyroid cancer treatment depends on the type of thyroid cancer and the extent or stage of the thyroid cancer one is suffering from. Parathyroid hormones are considered to be the most important endocrine regulator. It basically regulates the calcium and phosphorus concentration in the body. Studies show that since 1925, the standard treatment for parathyroid disease is to surgically remove the parathyroid gland(s) which are overproducing parathyroid hormones. Parathyroid adenoma is a small tumor of the parathyroid gland and is known to be the most common disorder of the gland. Medullary thyroid cancer is one of the types of thyroid cancer. This type of thyroid cancer is more common in women than in men. Most people don?t feel any symptoms. Others can just lose weight and just feel depressed for no reason at all. Hypothyroidism develops for over a long period of time. It?s normally from several months to even several years. People who are suffering from hypothyroidism are advised to get plenty of exercise and have a balanced and healthy diet. The diet must be rich in protein and iodine. Self medicating one?s thyroid disorder with hypothyroidism diet pills without proper information of the diet pill does not address the problem. Hyperthyroidism is when the thyroid gland is overactive and produces too much thyroid hormones more than the body needs. Hypothyroidism is one of the chronic diseases in the world. Hypothyroidism is also known as underactive thyroid; hypo means under or below normal. Anaplastic thyroid cancer is a type of thyroid cancer that is rare and aggressive. It affects the thyroid gland and most especially its function. Problems arise if the thyroid gland is overactive or underactive. There are three common thyroid disorders. These are hypothyroidism, hyperthyroidism and the thyroid nodules. Hair loss may happen for so many reasons but it is commonly associated to thyroid problems such as hyperthyroidism and hypothyroidism. Thyroid Function Tests are the different tests conducted to assess and determine the cause of an individual?s thyroid problems.